New game + Shadow Hearts 2 The Man Festival! 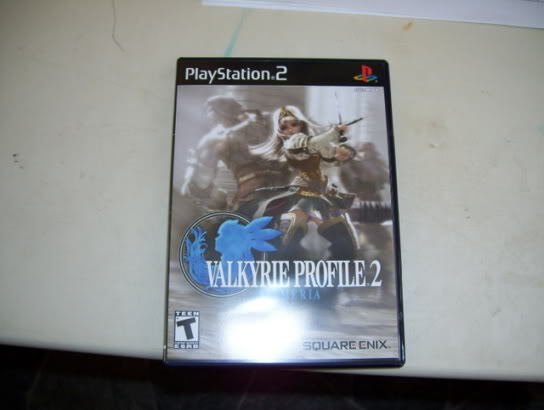 Today I finally got Valkyrie Profile 2 Silmeria. I haven’t had the chance to play much yet, but it seems like it’s fun. I just finished uploading the newly recorded video. This time its from Shadow Hearts 2. And from the sidequest “The Man Festival“. 16 april, 2007 Säg något! I’ve been playing with my friends videobox. Its a capture device so I can record my videogames on a computer. Its pretty fun. The quality is not the best but hey! It works, and that what matters to me. So I think I’ll take some time away from making AMVs, well especially since my computer died some time ago. Plus it will give me much needed time to think about what the next AMV should be, even if I already have 1-2 or vids I want to do. Shadow Hearts 2: Grand Papillion Appears! 6 februari, 2007 Säg något! Well I was bored as hell. and got a video request from a friend of mine. We both thought it would be a great idea. So I went along and made it, and know its finished! Here folks! Rejoice! Our true savior has come!